Dr. Martin Luther King, Jr. addressed the crowd at the Patrick Campbell School in Roxbury during a visit to Boston, April 22, 1965. It is a commonplace that racism is America’s original sin. Hardly a day goes by without attention being focused on instances of the racial injustice, friction, and double standards that can still be found in this nation. Open the morning paper or watch cable news, and there will be something to remind you of the country’s racial tensions — from controversy over flying the Confederate flag to NFL players protesting police brutality, from accusations of voter suppression in Georgia to an Iowa congressman defending “white nationalism.” It isn’t surprising that when Americans are asked in opinion polls whether race relations are getting better, many of them — sometimes most of them — gloomily reply that racism is still a major problem. But it isn’t. It is only a minor problem now, one that has grown steadily less toxic and less entrenched. King predicted confidently that America would surmount its benighted racial past, and his confidence was not misplaced. Though his own life was cut short by a racist assassin, he foresaw that racism would lose its grip on American life. “We’ve got some difficult days ahead, but . . . I’ve been to the mountaintop,” King said in his final speech. “I’ve looked over, and I’ve seen the Promised Land.” He knew that American racism would wither away. Fifty-one years later, it mostly has. Consider some of the data on changing American values. In 1958, 48 percent of white Americans polled by Gallup said that “if colored people came to live next door,” they would be likely to move. By 1978, only 13 percent still said that; by 1997, the proportion had fallen to 1 percent. That dramatic metamorphosis in American attitudes shows up as well in the World Values Survey. When researchers in 59 countries asked residents how they would feel about having neighbors of a different race, Americans turned out to be among the least racist people in the world. The United States ranked 47th out of 59 countries surveyed, making it more racially accepting than Japan, Mexico, Germany, South Korea, and the Netherlands, among others. That’s only one measure of racism’s profound decline. Friendship is another. It isn’t only American friendships that straddle the color line. American families do too. In King’s day, the vast majority of Americans disapproved of marriages between whites and nonwhites. Today the opposite is true: Nearly 90 percent of the public approves of interracial marriage. In 1967, just 3 percent of couples tying the knot were of different races, according to the Pew Research Center. By 2015, 17 percent of all US newlyweds — one of every six — had married someone of another color. Naturally, the number of multiracial American children has soared in recent years as well. When King was assassinated, tens of millions of Americans would have put the prospect of a black US president in the realm of sheer fantasy. In fact, the election of the first black president was just a few decades away. And when Barack Obama in 2008 won the White House, it was with a greater share of the white vote than six of the previous seven Democratic nominees. White racism, once such a powerful force in US electoral politics, had shrunk to puny insignificance. None of this is to claim that racial ugliness has vanished outright, or that racial concerns can be safely ignored. It is to claim that despite the occasional eruption of racist hatred or cruelty, and despite the coarse racial crudeness of the incumbent president, the American people are far removed from the bigots of yesteryear. In less than two generations, the United States transformed itself from a largely racist society to a largely non-racist one. 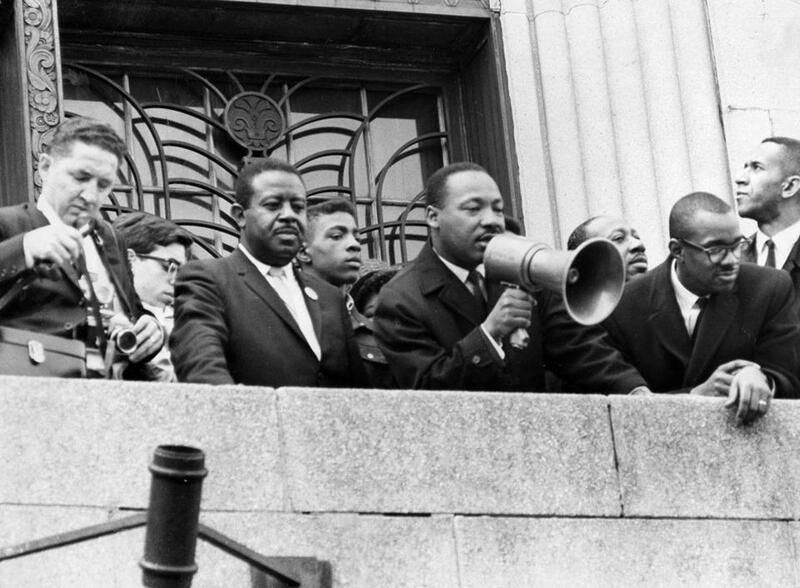 “We shall overcome,” King and the civil rights heroes vowed. Inspired by their courage, uplifted by their moral leadership, Americans did just that.